Italian restaurant L’Anima, based in the City, has become the latest casualty of London’s cut-throat restaurant trade having closed suddenly this week. 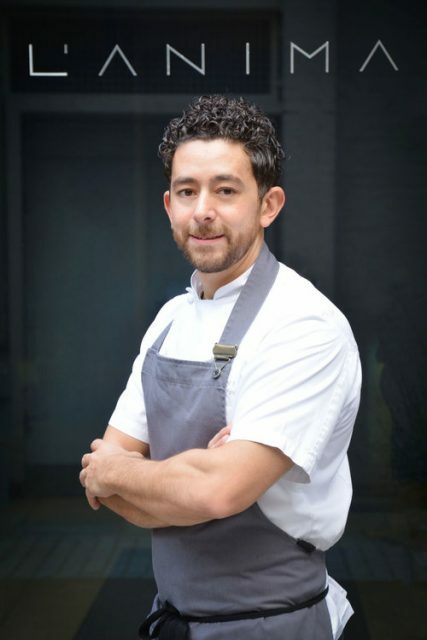 L’Anima was opened in 2008 with chef Francesco Mazzei at the helm. He left the company in 2015, with former sous chef Antonio “Lello” Favuzzi promoted to the position of head chef. The high-end Italian restaurant, memorable for its location inside a glassbox development on the border of the City and Shoreditch, ran its final service last night. Chef Antonio Favuzzi – protégé of previous patron, Francesco Mazzei – was born in Sassari, Sardinia, to a Sicilian mother and Puglian father. It’s understood that Favuzzi will move over to L’Anima Café, the more casual sister site next door, with some of the restaurant’s dishes expected to migrate with him. These may include antipasti of hand-picked crab with sea urchin and sweet red onions, primi of acquarello risotto with wild garlic, mussels and Grana Padano Riserva cheese, and a signature secondi of 21 days dry-aged beef fillet tagliata with marrow bones, buffalo blue cheese and sharp salsa verde – just some of the restaurant’s notable dishes. L’Anima is just one of a number of restaurants struggling in London’s increasingly tough trading conditions. In January Brothers Chris and Jeff Galvin announced the closure of their Galvin Bistrot de Luxe in Marylebone over rising rents in the capital, compounded by the decrease in the value of the pound and European staff leaving. The brothers reported that they had lost a fifth of their staff in the wake of the Brexit vote. Last month Jamie Oliver’s Barbecoa restaurant in Piccadilly closed, entering administration, while the restaurant’s sister site in St Paul’s was rescued after Oliver’s group scrambled to broker a last minute deal to acquire its assets through One Change Limited, a wholly owned subsidiary of Jamie Oliver Restaurant Group that was set up only three weeks ago. Meanwhile Italian restaurant chain Prezzo announced this morning that it was preparing to close a third of its restaurants, close to 100 of its 300 restaurants, as part of a rescue bid.